Want to join us in making a difference? We're raising money for First United Methodist Church of Murphy and the Harshaw Chapel and any donation will help make an impact. Thanks in advance for your contribution to this cause that means so much to us. 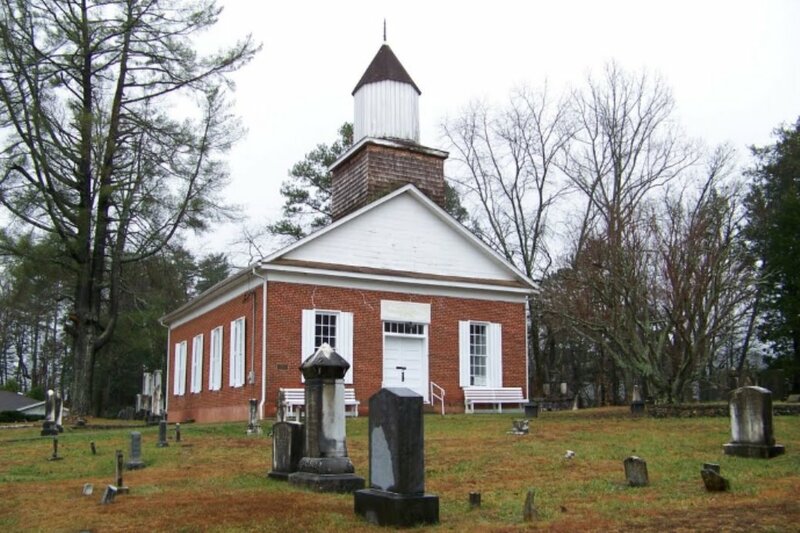 More information about First United Methodist Church of Murphy, Inc.: The Harshaw Chapel, built in 1869, is the original home of the Methodist church in Murphy, NC. 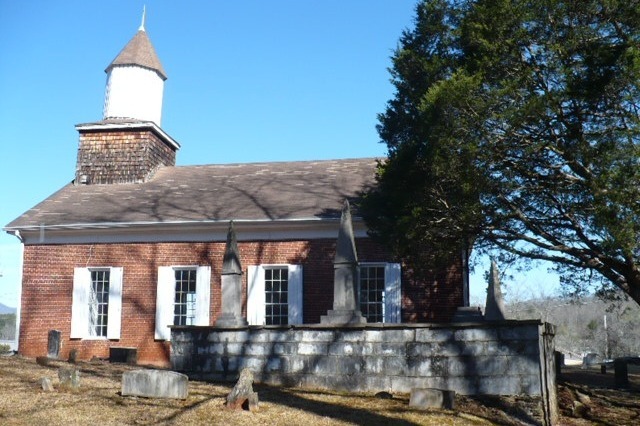 It is listed on the National Historic Register and is desperately in need of structural renovation so it can again be used for community and church events in Cherokee County, NC. The Harshaw Chapel provided for the needs of the Methodists for many years, but soon Murphy grew and the Methodists grew in number, and the Harshaw Chapel was not adequate. On February 19, 1919, land for the present location was purchased for $2,500.00, which was considered a good purchase as there was a house on the property. A payment schedule shows $500.00 due on June 10,1919, $ 1,000.00 due on February 10, 1920, and $1,000.00 due on February 10, 1921. In 1922, after the land had been paid for, plans were made for securing a loan and the construction of the present neo-classical modified Akron Plan church on Valley River Avenue was begun. The Harshaw Chapel has been perched on the hill overlooking downtown Murphy for 149 years. There have been numerous efforts to revive this beautiful structure and this campaign is our current goal for making those repairs and improvements possible! Here in the extreme western tip of North Carolina,south of the Great Smoky Mountains, is the seat of government for Cherokee County. Murphy is home to the classic blue marble Courthouse, a bright new Indian casino and also the oldest brick building in the county – the 150-year-old Harshaw Chapel. The steeple is leaning badly, the steep roof is sagging and a recent inspection by builders found that wood timbers in the attic and bell tower are rotten beyond repair. Don’t ring the bell, they said, the shifting weight may bring it down. And pray that we don’t get a big heavy wet snow this Winter to collapse the roof. Many local Cherokee were removed in the tragic “Trail of Tears” in 1838. North Carolina immediately claimed the vacant lands,had large tracts surveyed and offered at auction. Wealthy planters from mid-state bought up the best river-bottom acreage and flocked to the Murphy area, among them several members of the Harshaw family. The donor, his wife and son are buried in a walled enclosure here. Also the rich and the poor from the entire area,regardless of religious beliefs. Among the tombstones, some fancy, some plain field rock, is a marble shaft for Abram Enloe. Also a slave-owning plantation owner, Enloe lived in nearby Swain County at present-day Cherokee. He apparently fathered a number of children by his wife but only one by his servant-girl Nancy Hanks,who named her little boy Abraham. Enloe reportedly paid Tom Lincoln the sum of $500 to marry her in Kentucky,where Enloe had business interests. The Methodist clergyman recalled later that the bride “had a small, dark-haired boy who played” around their feet,not uncommon at the time. Local Methodists worshipped at the little chapel for about 50 years, then built a handsome new brick facility downtown in the early 1920’s. The First United Methodist Church is nearing its 100th birthday and its aging congregation is scrambling to get it ready for the centennial celebration. Only to find out recently that the chapel itself is in bad shape. A busy local contractor has given an estimate of about $125,000 to replace the roof and steeple, and refurbish the bell. He can start on the job March 1. But the Methodists have less than a third of the money needed on hand to renovate the iconic chapel. You can help ---First UMC is a tax-deductible charitable organization. We desperately need your donations. And you’re cordially invited to visit us this coming Summer –see what we did with your money. Thanks. First United Methodist Church of Murphy, Inc.